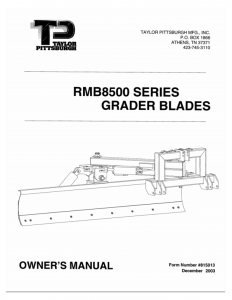 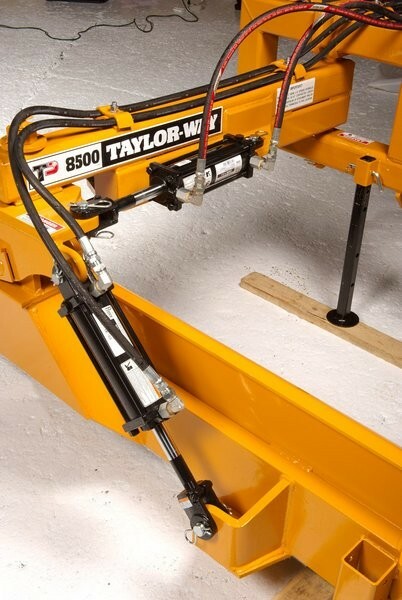 Taylor Pittsburgh 8500 Series Heavy Duty Rear Blades gives you the added features that make any heavy duty job easier than ever. 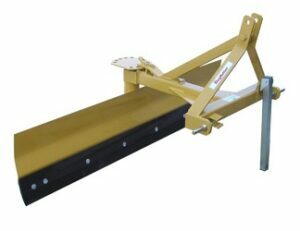 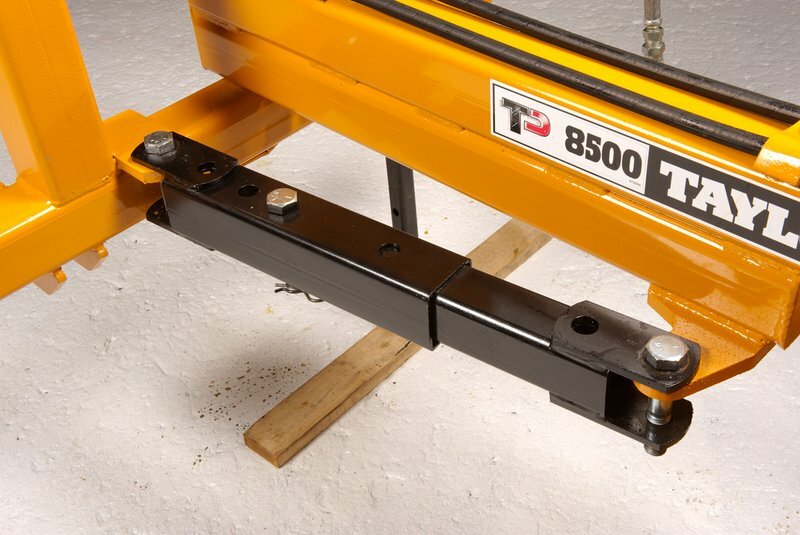 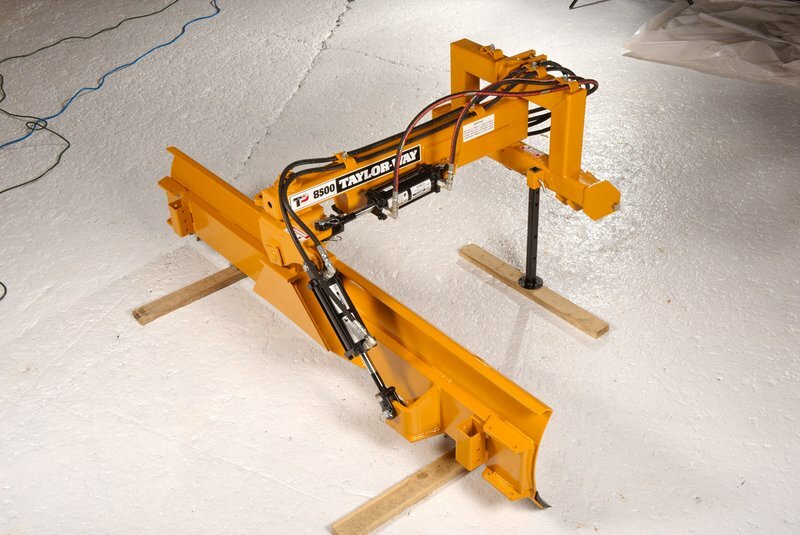 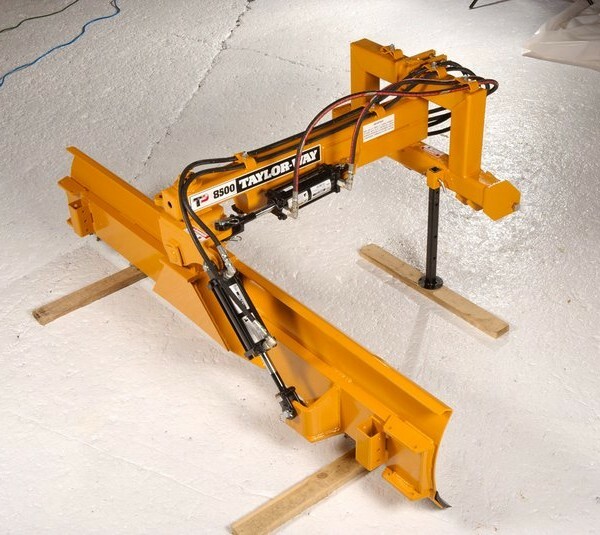 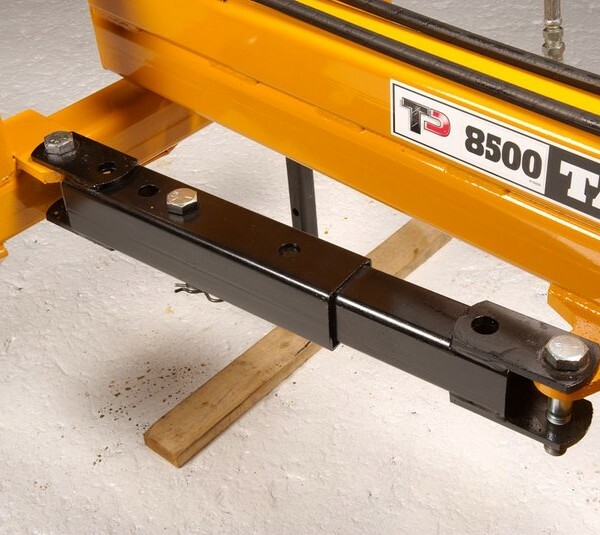 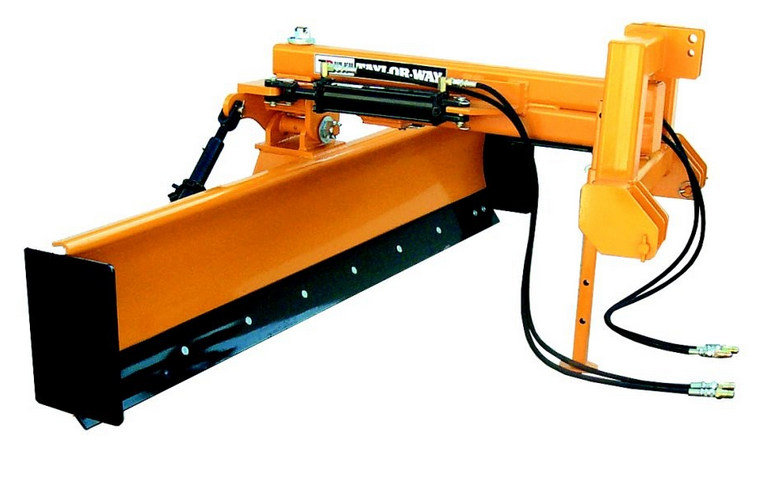 Fully adjustable with mechanical or hydraulic adjustments on angle, offset and tilt functions. 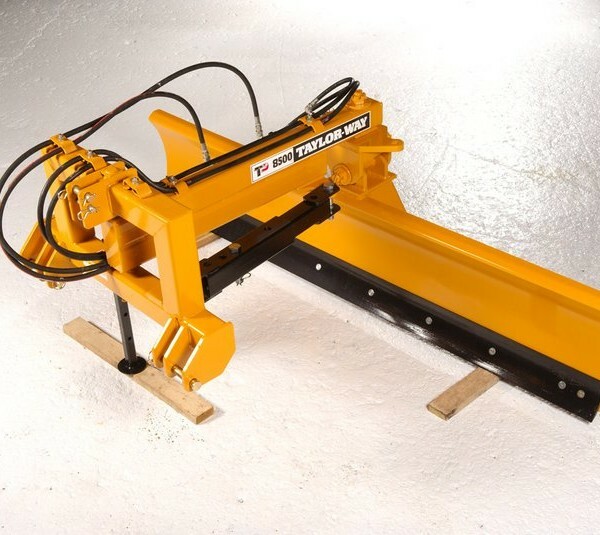 Constructed for strength with a heavy 4” x 4” x ⅜” main tube, straddle type combination 3-point hitch and you have a choice of optional end plates and skid shoes. 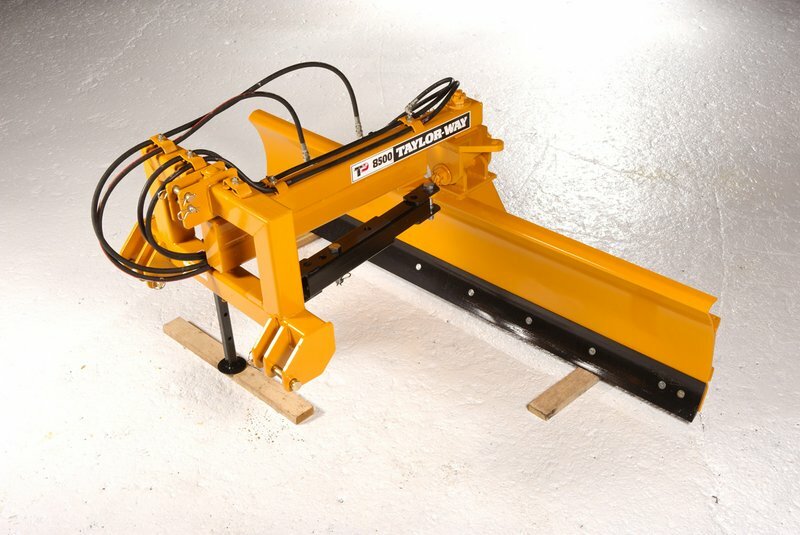 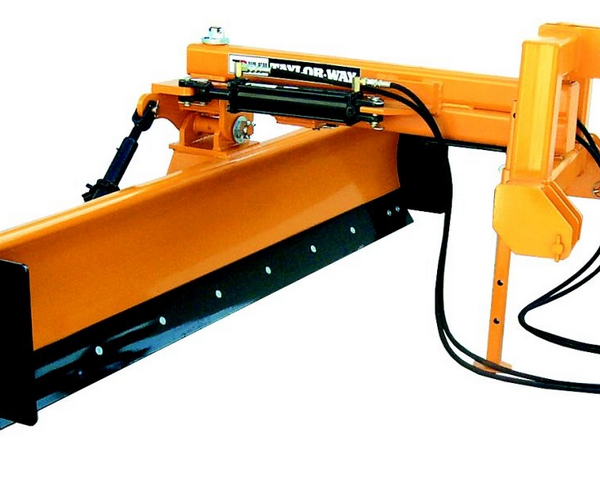 The 8500 has a reversible cutting edge, a reversible curved moldboard and comes in 8’ working width. 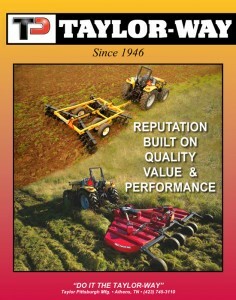 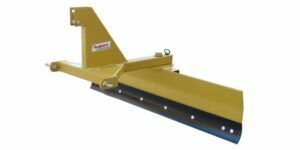 These rear blades are an excellent choice for levelling, ditching, landscaping, road maintenance, snow removal and more.